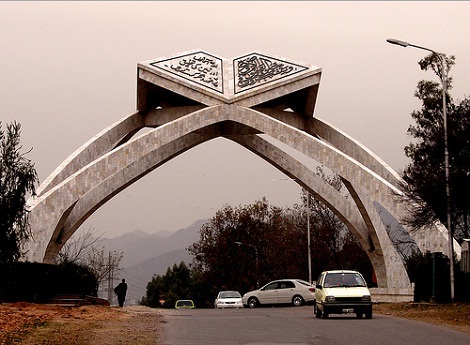 Quaid-i-Azam University is a public research university situated in Islamabad, Pakistan. It was established as the University of Islamabad in 1967. Initially dedicated to the study of postgraduate education, QAU has expanded through the 1980s to an interdisciplinary university offering both under and post graduate education. Located on the foothills of the Margalla, it has grown into the largest varsity in Islamabad. Quaid-e-Azam University is among the largest and highest ranked public universities of Pakistan. Are you ready for the biggest night ever! 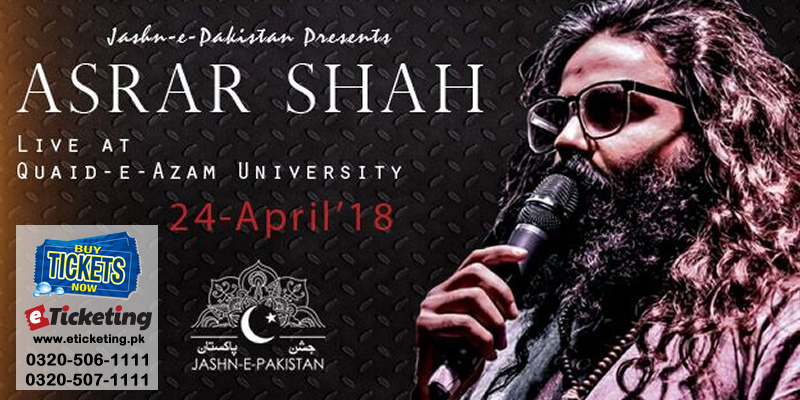 Jashn-e-Pakistan is gearing up to bring the one and only Asrar Shah to Quaid-i-Azam University. Get ready as we bring to you a night brimming with Sufism in it's purest and embellished form. A night with a Malang that is Asrar shah - So inconspicuous and yet overpowering in his own very way. Jashn Musical Fiesta in Islamabad. Terms & Conditions : Let the Music Rule. Dance like never Before. Be part of this electrifying musical fest. Best Viewed at 1024 x 768 pixels and above. This Page loaded in 0.08374 seconds on Tue, Apr 23, 2019 (13:18).